I don’t have any suggestions for improvement, I think the parent mornings are a great idea. Thanks for letting us see what our children get up to! I really enjoyed our table task. It was accessible for all and a lovely atmosphere. I thought it was brill, it’s good to see what my child is like at nursery. It was nice to see all the children working and playing in a group. Nothing to improve – the teachers are great! It was an eye opener, very fast paced. I enjoyed helping my child in maths and will carry this on forwards and backwards in tens! 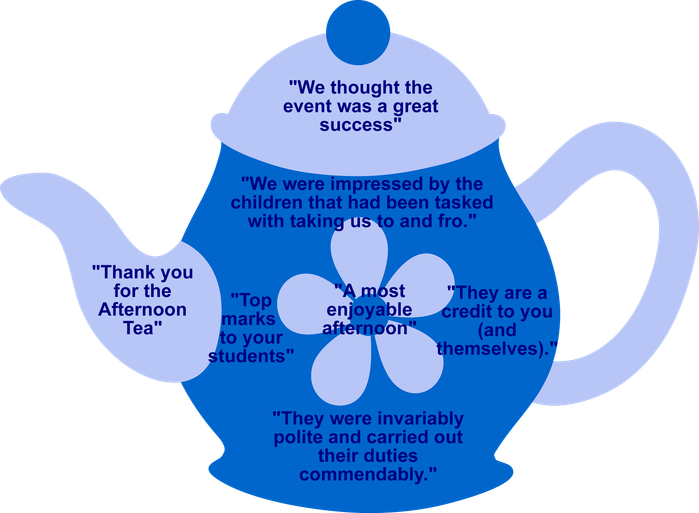 Grandparents’ afternoon on Thursday 15th June was a huge success. Here are some of the comments we received. 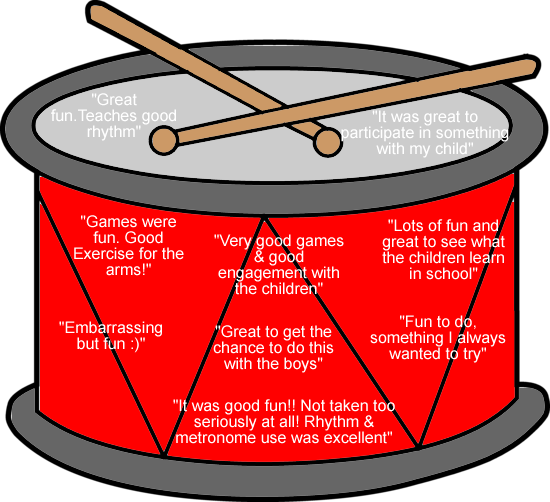 This month we held some Drumskool sessions with parents. Thank you to everyone who took part. Below are some of the comments people made. 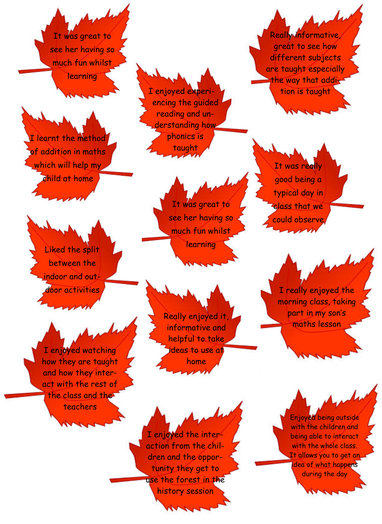 The comment tree below shows some of the recent comments that we have received from parents.